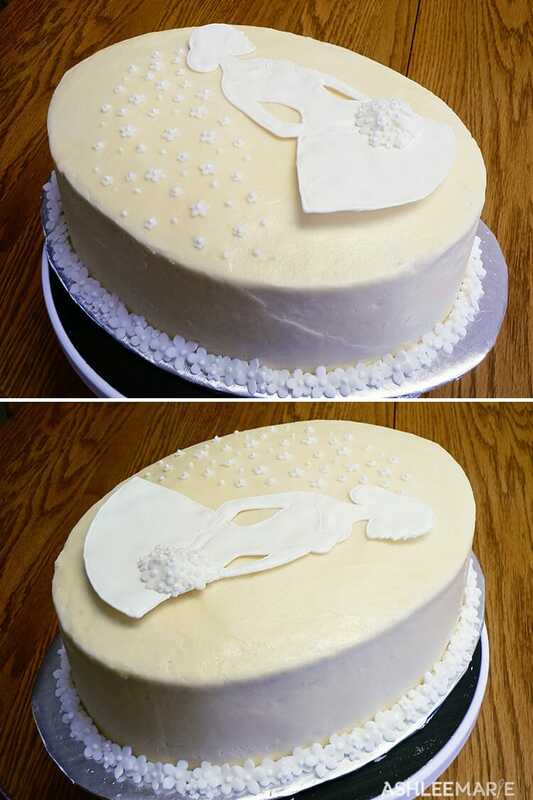 I just fell in love with this design so when one of my best friends was getting married it made the perfect bridal shower cake. 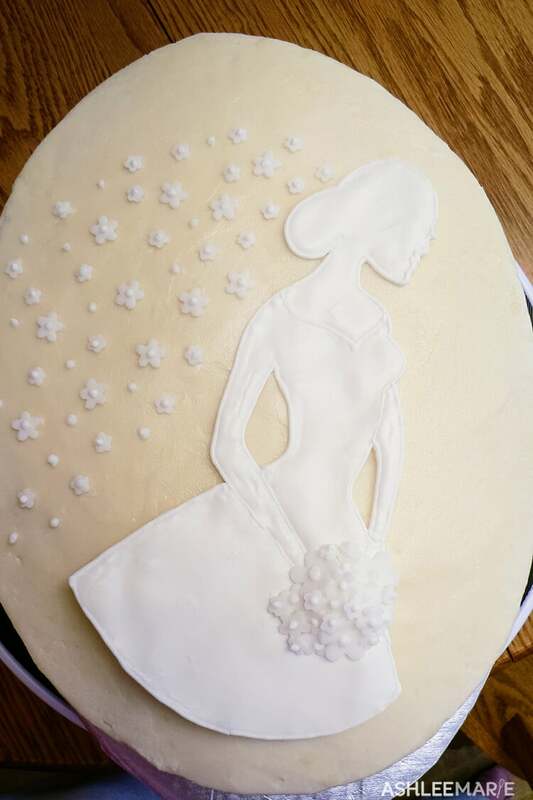 I just love this cake, and would actually love to do a wedding cake like this, a bride on one and maybe even a second one with a groom facing the bride. Wouldn’t that look amazing. But it wouldn’t be super traditional so I don’t think I’ll ever get that chance, so doing a bridal shower was the perfect opportunity. It is a coconut pecan cake with cream cheese frosting, fondant flowers and a color flow bride. My husband still feels bad that he didn’t replace the bulbs in the kitchen in time for me to take this picture. It really doesn’t do the cake justice. It was phenomenal.